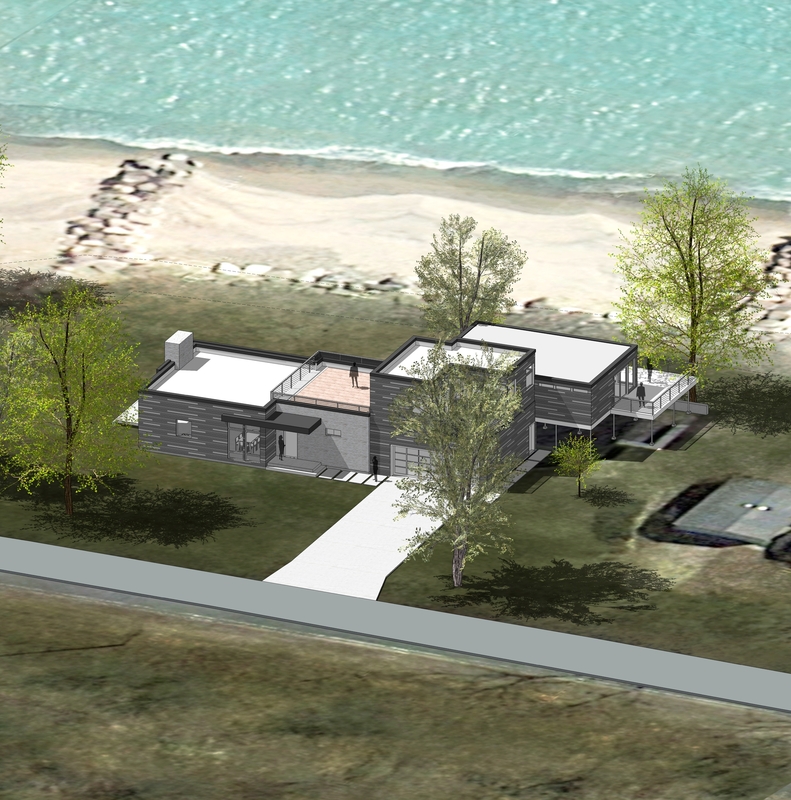 This unbuilt project, located on Lake Michigan just north of the Illinois border, was designed around an existing 1950’s mid century modern rectilinear home, raised up one story on a grid of columns. The existing home has severe, deferred maintenance issues. Additionally, the raised structure itself is not in compliance with current structural codes. 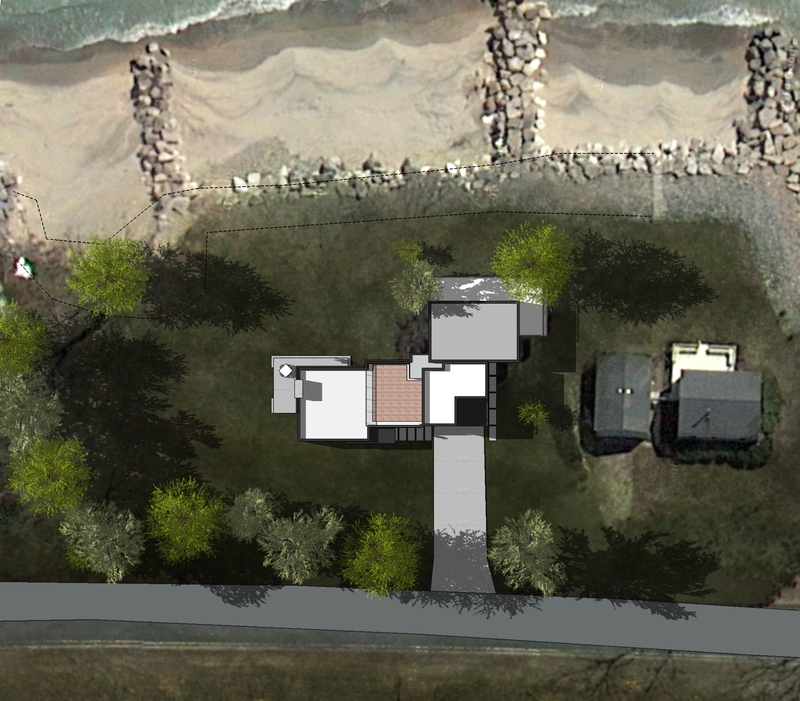 The existing structure was to be renovated inside and out, and then merged with a new, two story wrap around design. Views of Lake Michigan were maximized through a series of large expanses of full height glass and numerous decks including a roof top deck which would provide superb views out to the Lake and along the coastline. Sustainable features consist of an extremely tight perimeter shell, high efficiency low ‘E’ windows, a whole house mini-split all electric HVAC system, and iPhone enabled control systems. LED light fixtures, natual light and natural ventilation stategies would reduce the energy loads. In conjunction with renewable energy electrical power and prewired solar PV panels, a hybrid clothes dryer, induction cooktop and electric water heater would complete the all-electric design which eliminates the need for carbon rich fossil fuels. Level 2 electric car charging would be provided in the garage.